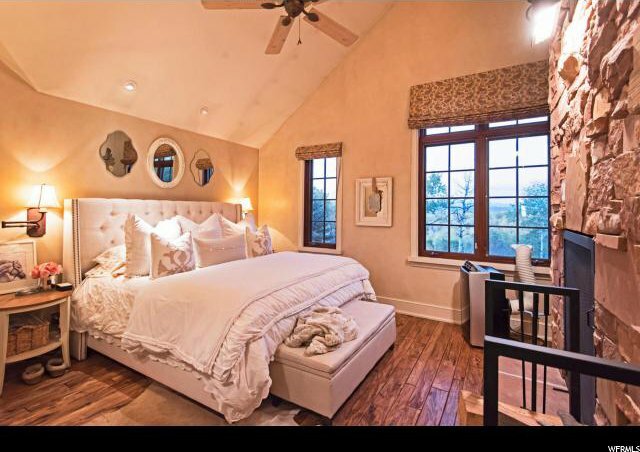 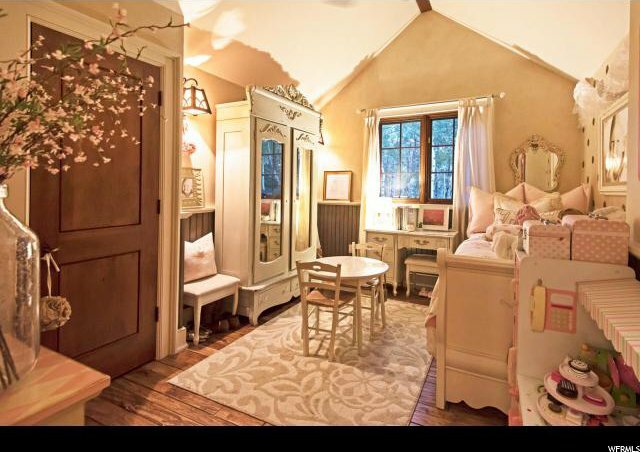 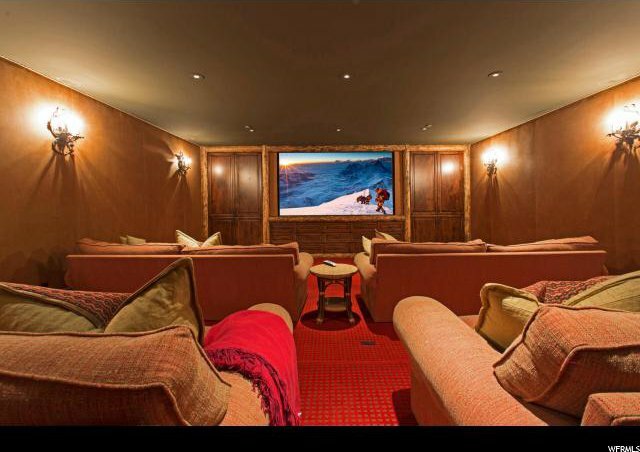 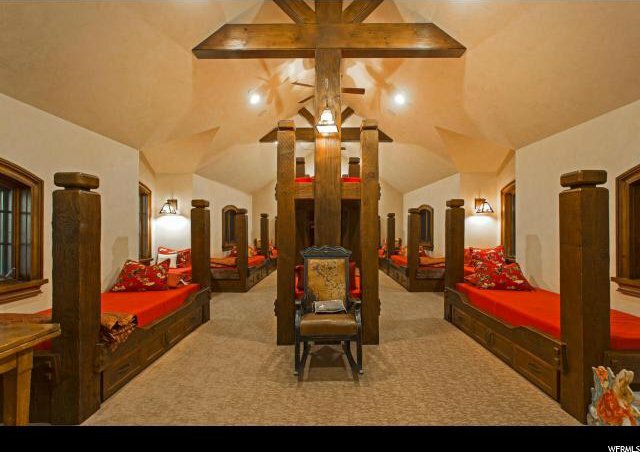 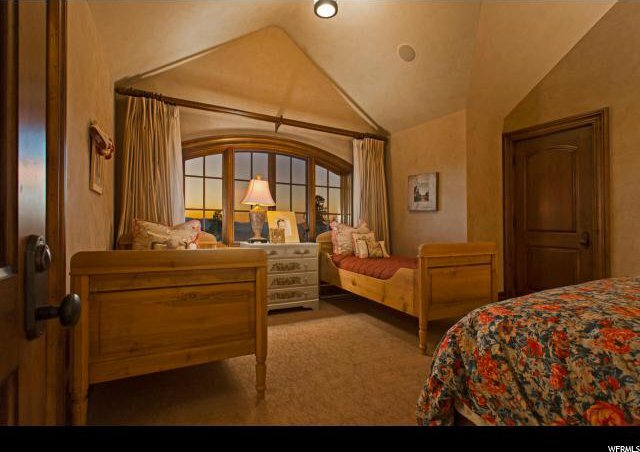 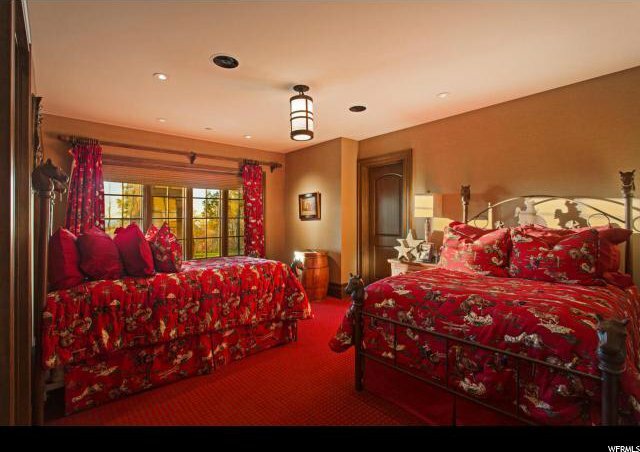 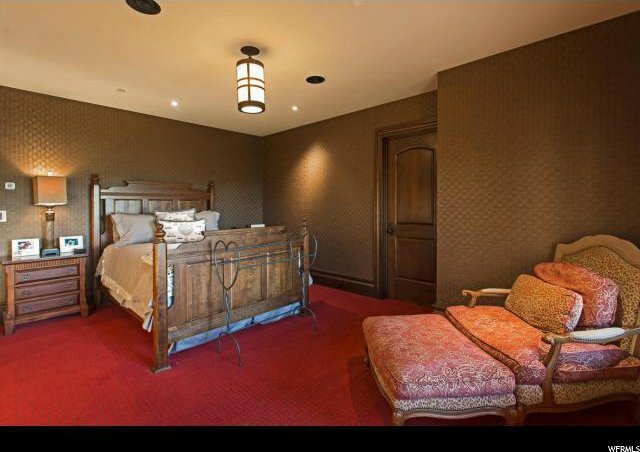 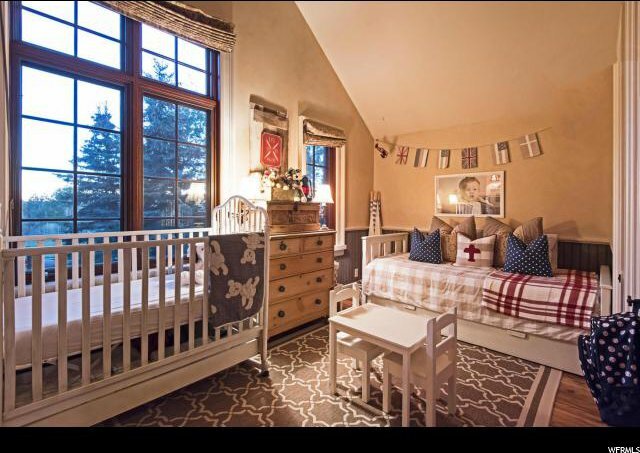 This incredible estate, designed by award-winning architect, Fred Babock, includes a primary residence with seven bedrooms and a children's bunk room, a three bedroom Guest House, and an 5,000 square foot barn. 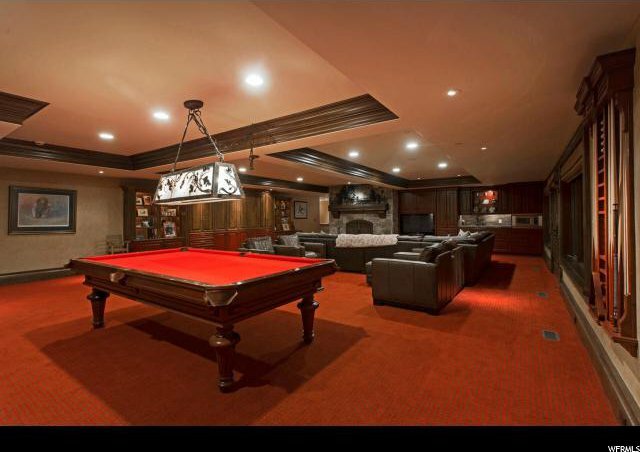 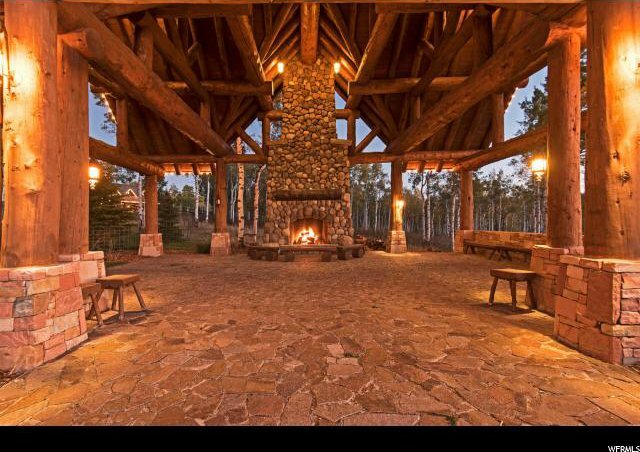 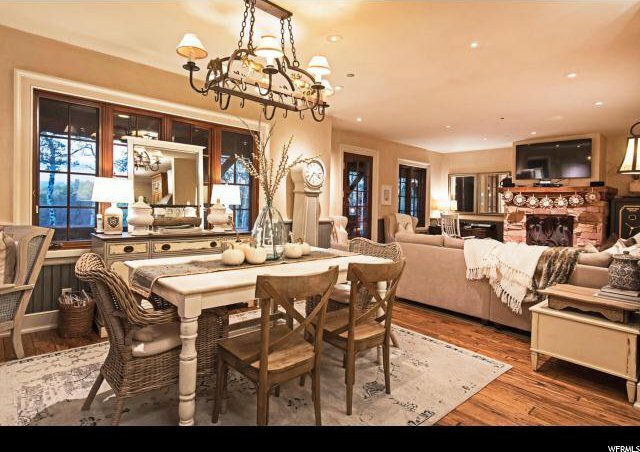 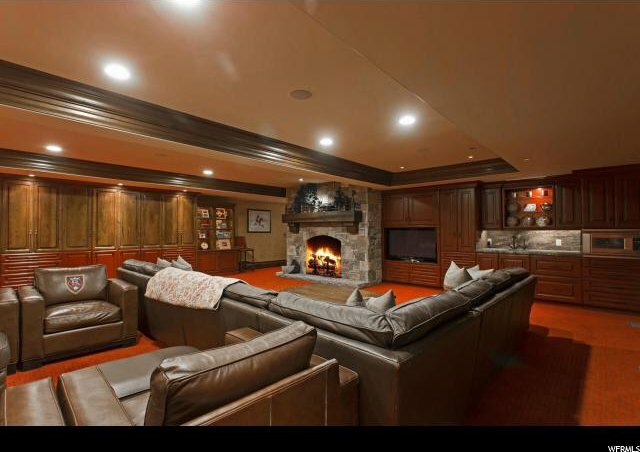 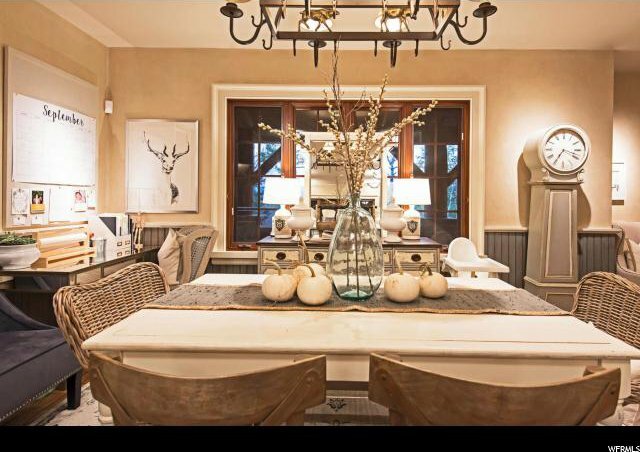 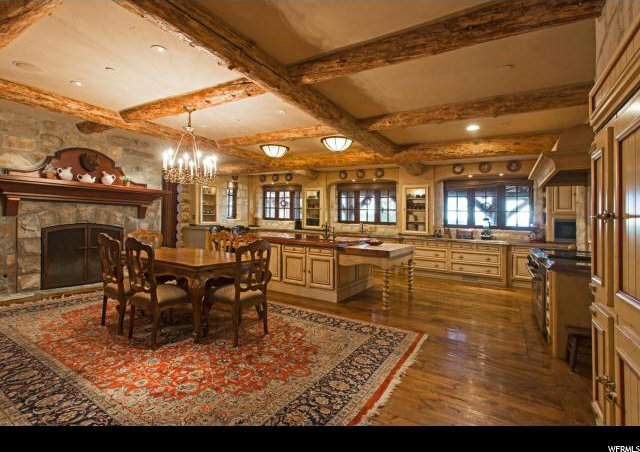 Adjacent to the primary residence, is an outdoor pavilion featuring an enormous fireplace for outdoor entertaining. 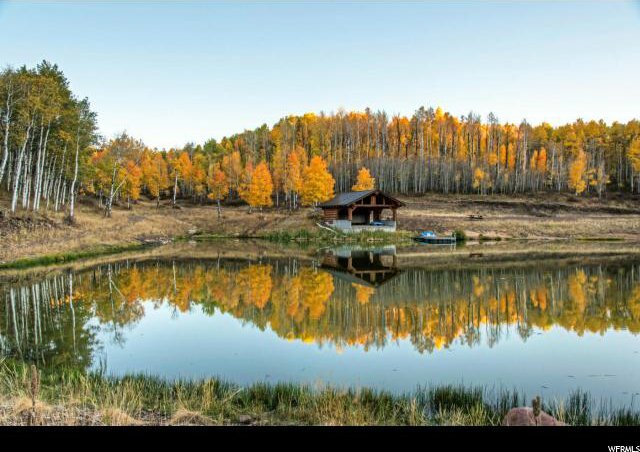 Enjoy serene views from the dock on a three-quarter acre pond on the sprawling estate, stocked with rainbow and brown trout. 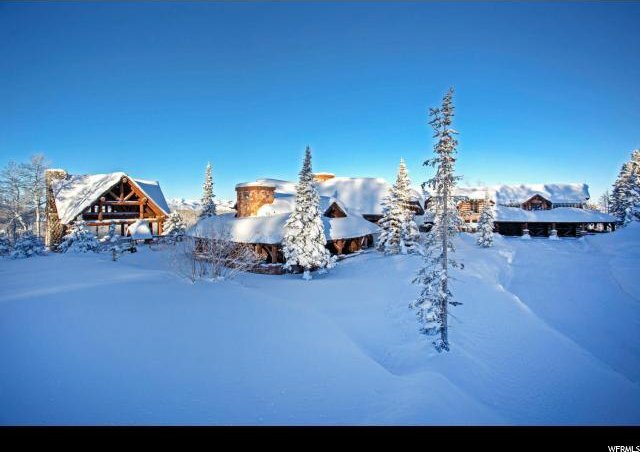 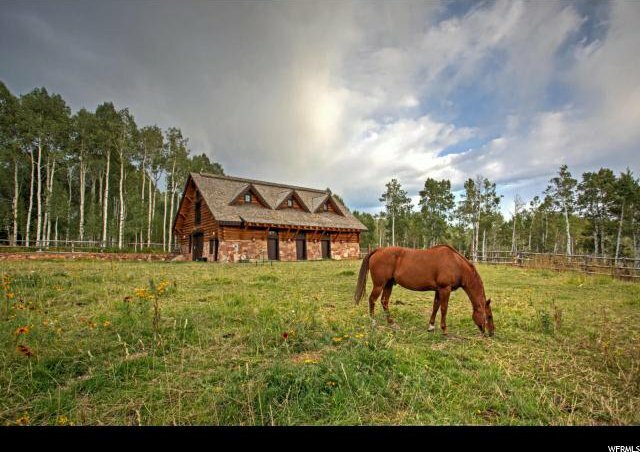 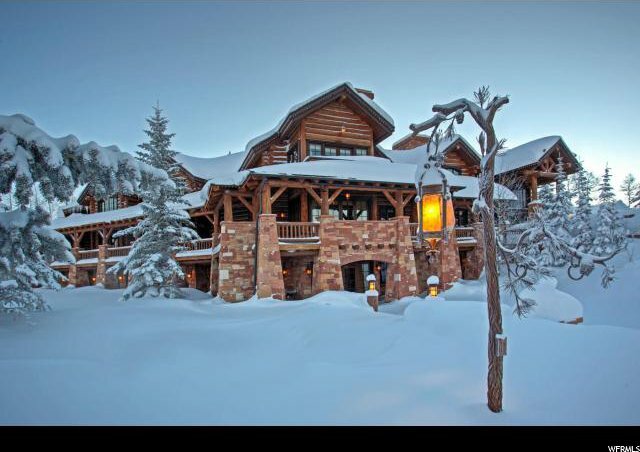 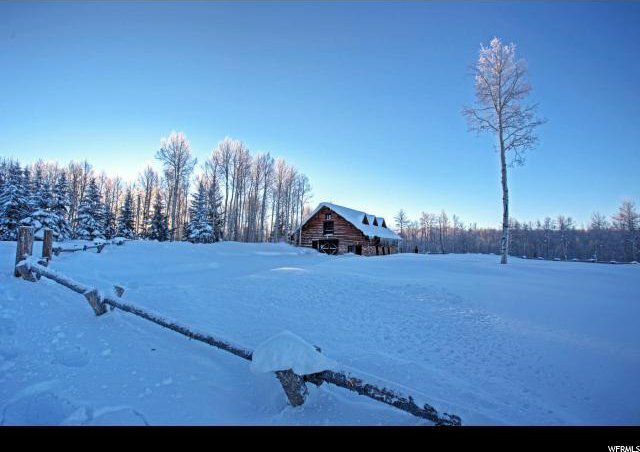 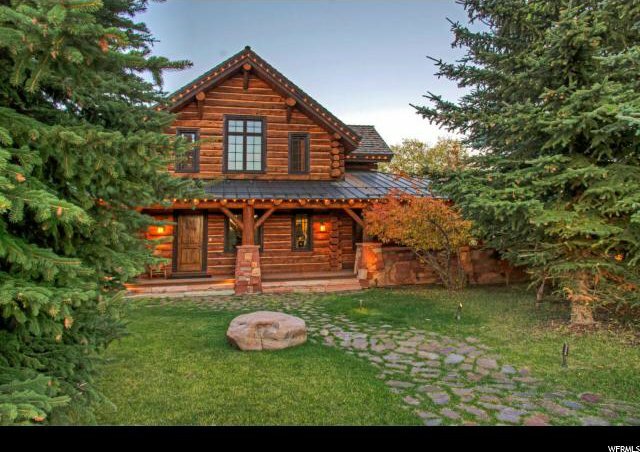 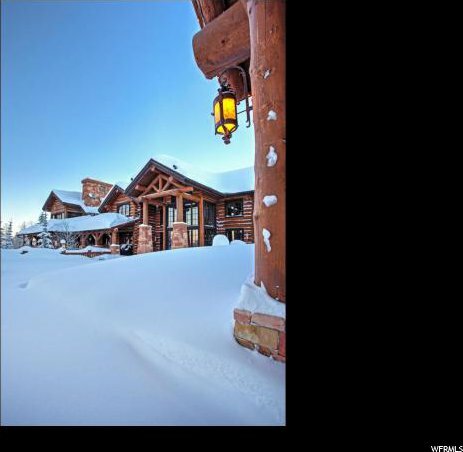 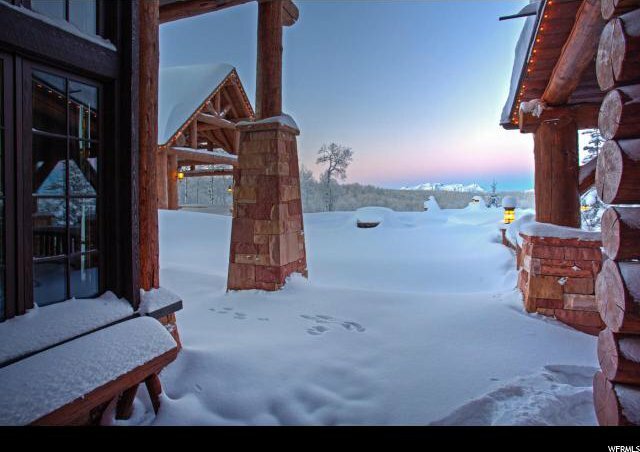 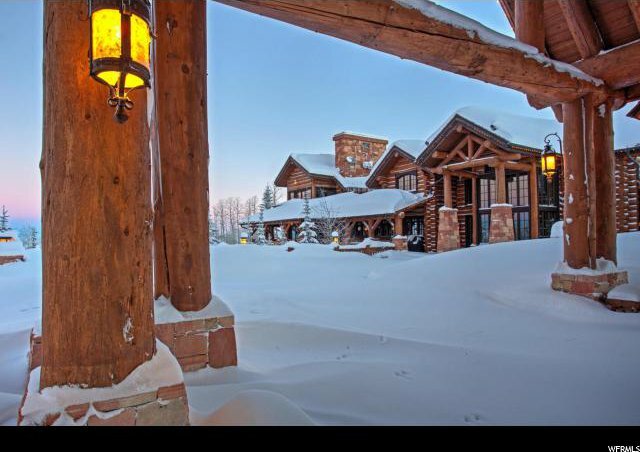 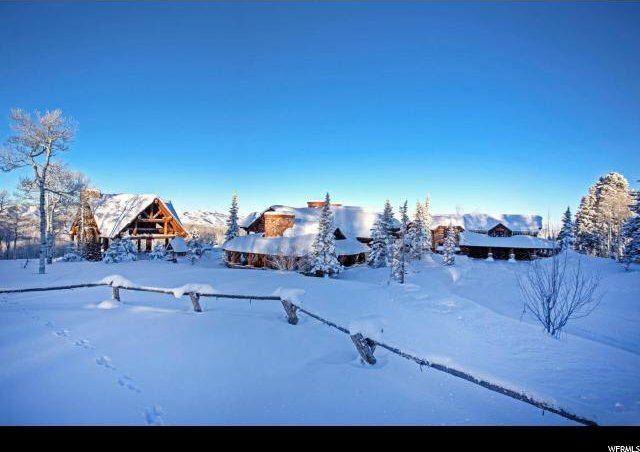 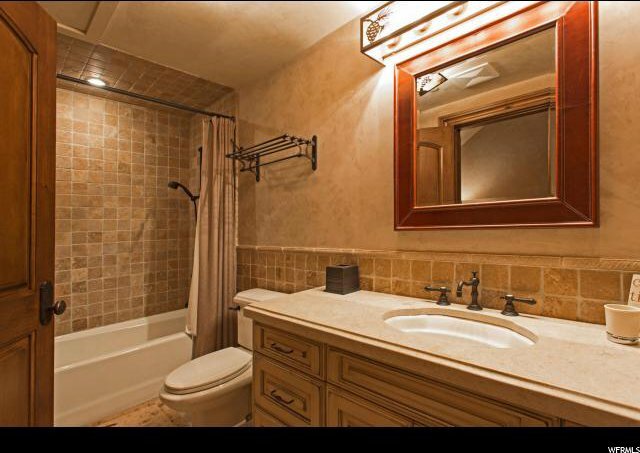 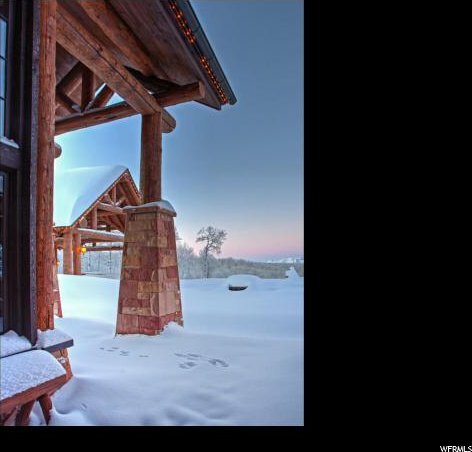 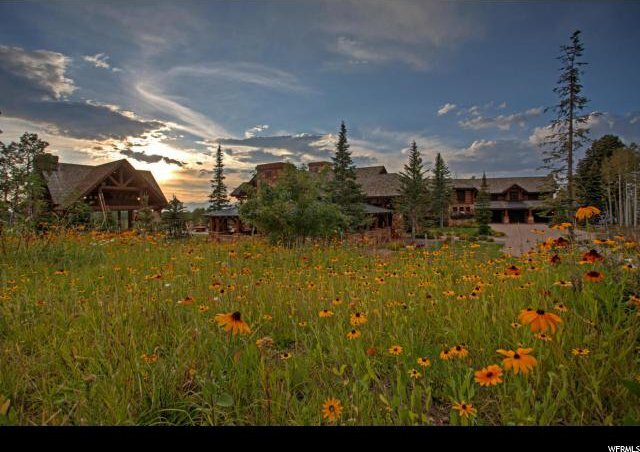 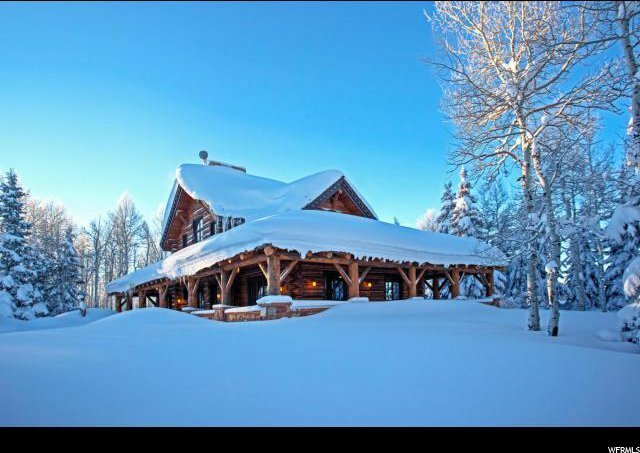 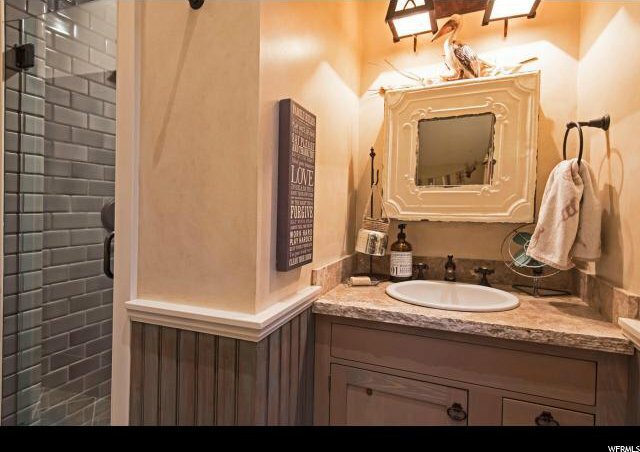 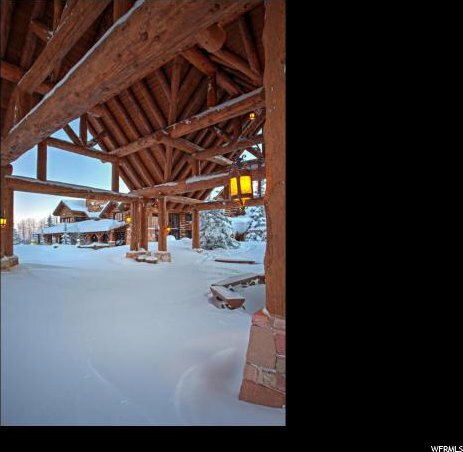 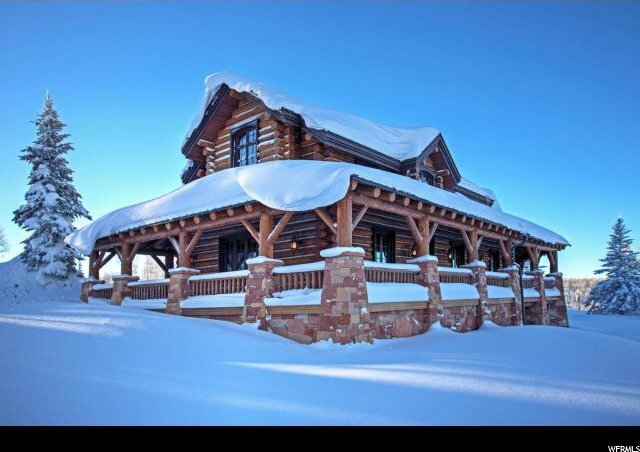 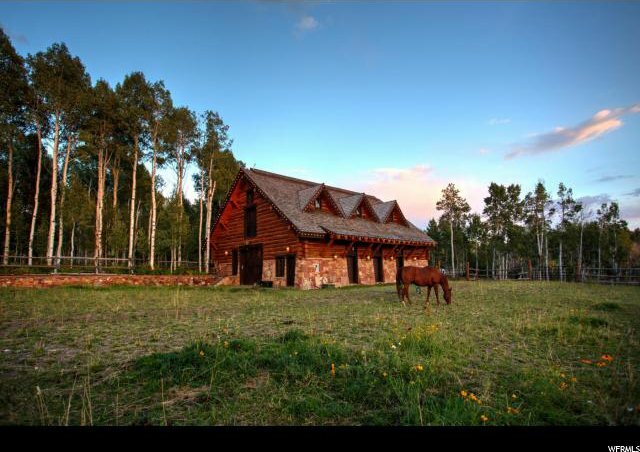 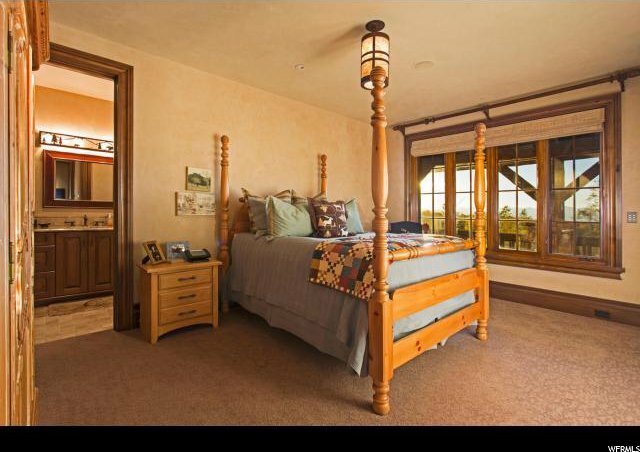 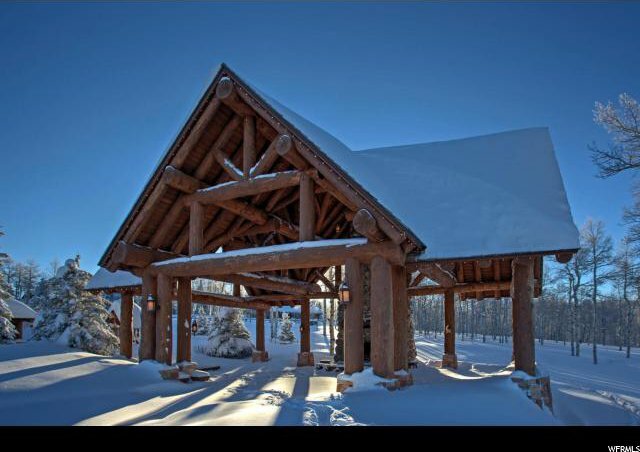 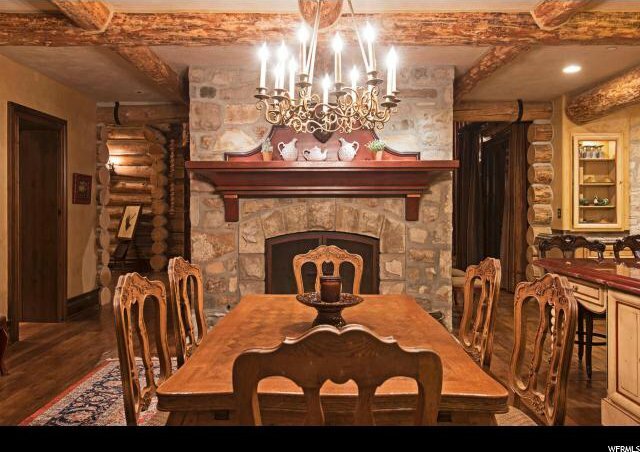 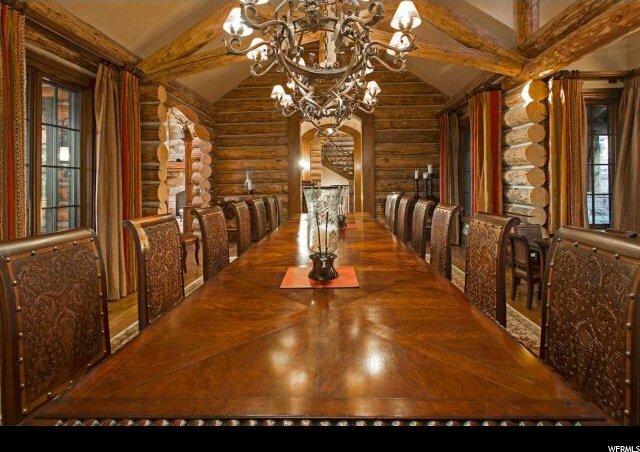 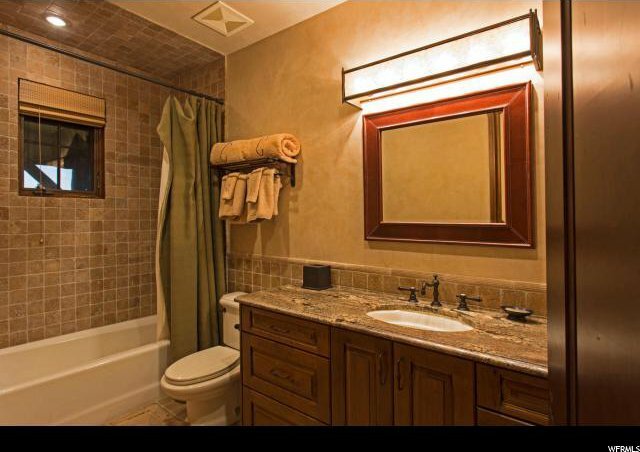 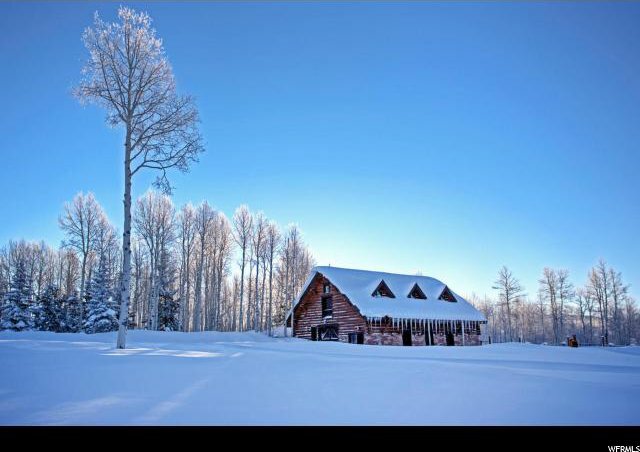 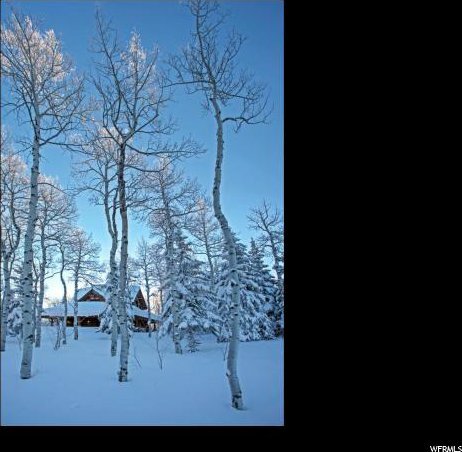 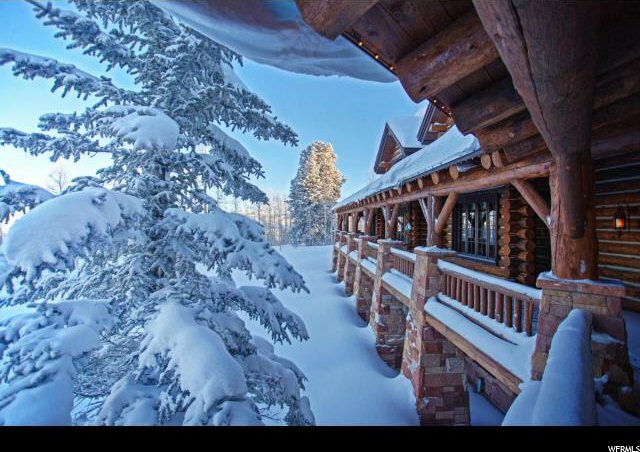 Wolf Creek Ranch is a private, 13,000 acre community just 20 minutes from Park City, featuring 60 miles of trails, private fishing on the Provo River and a 7-mile common boundary line with the 2.2-million acre Uintah National Forest. 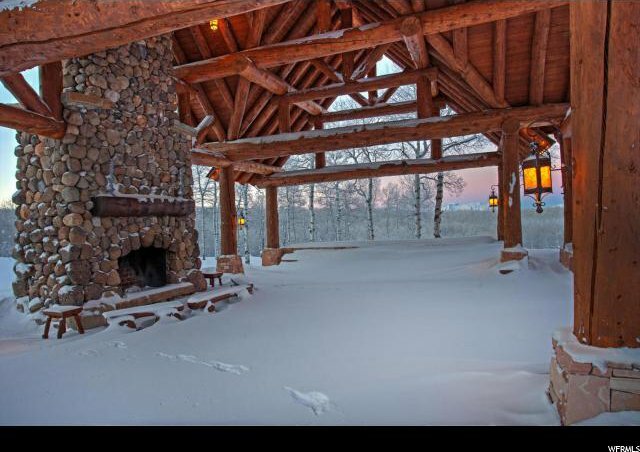 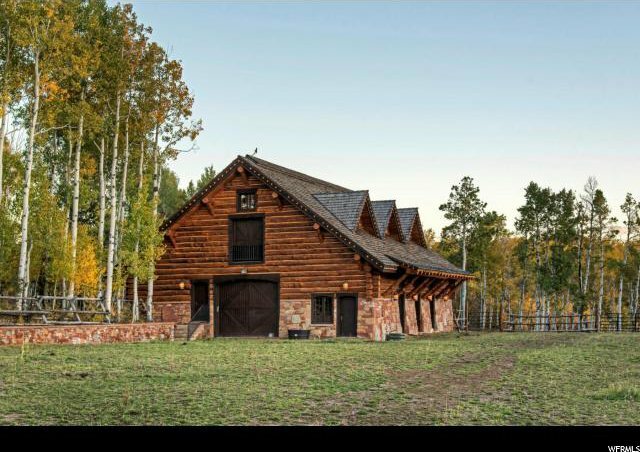 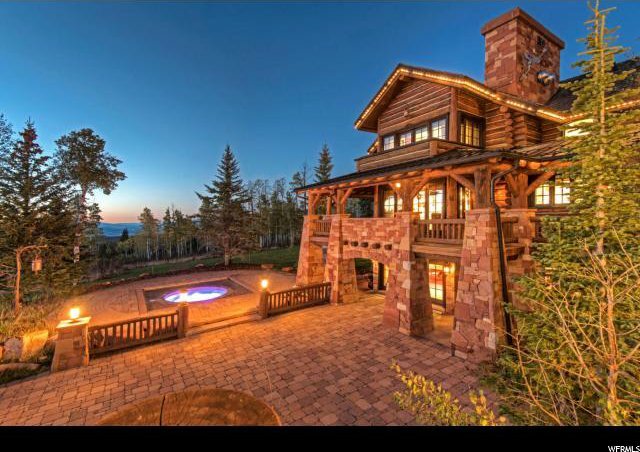 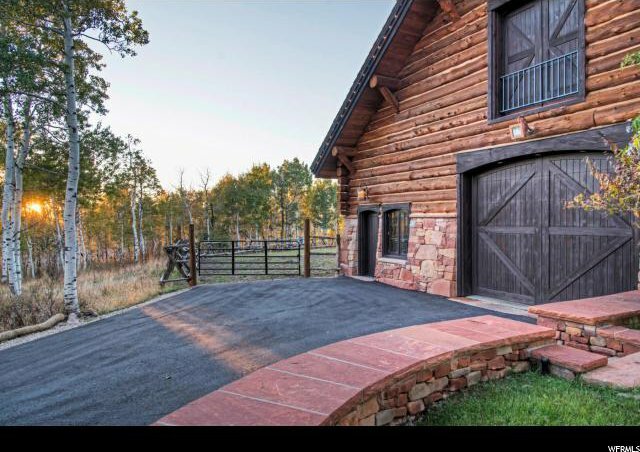 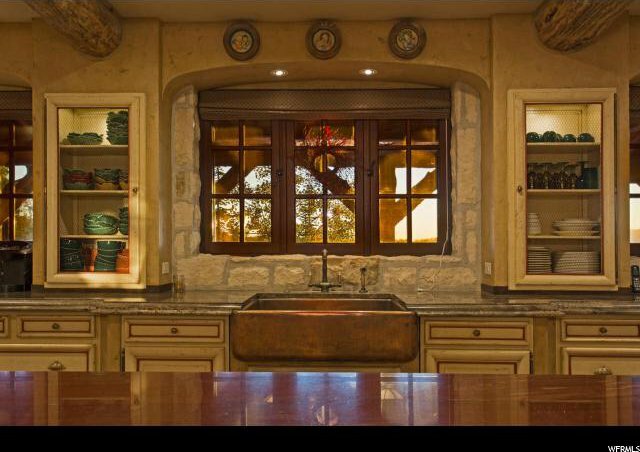 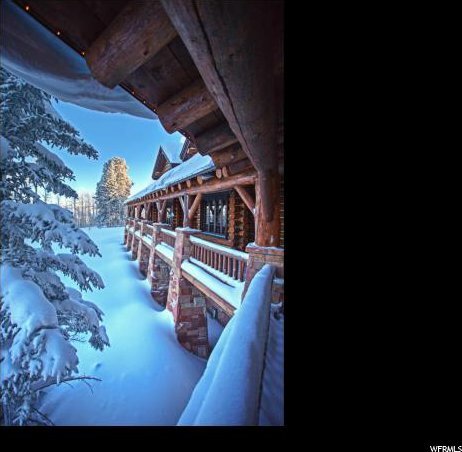 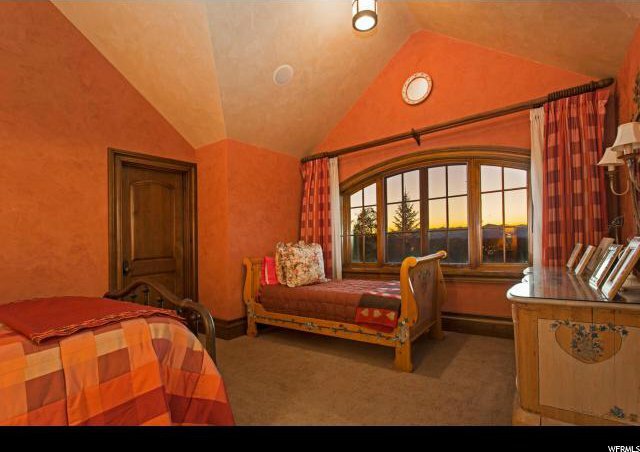 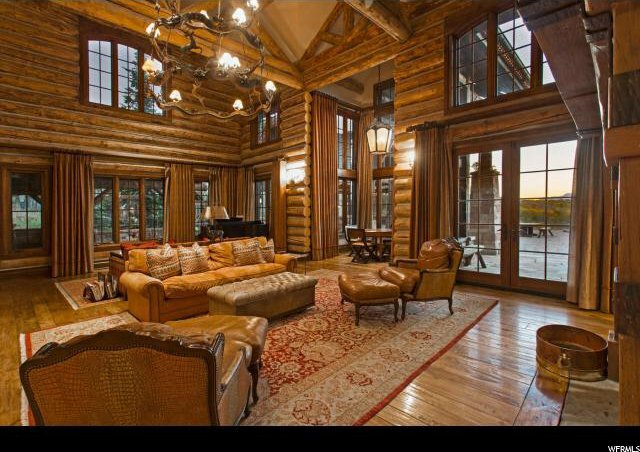 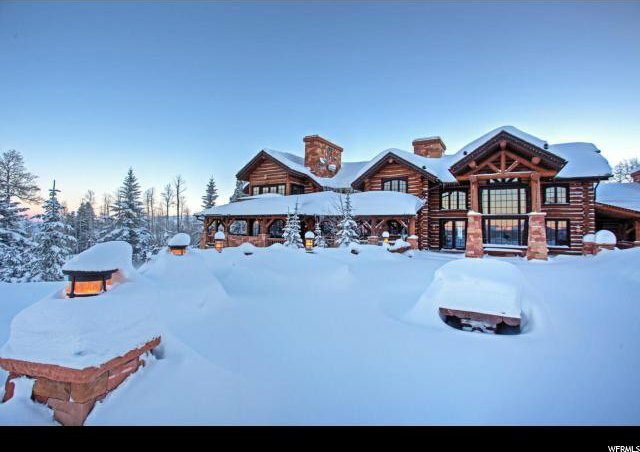 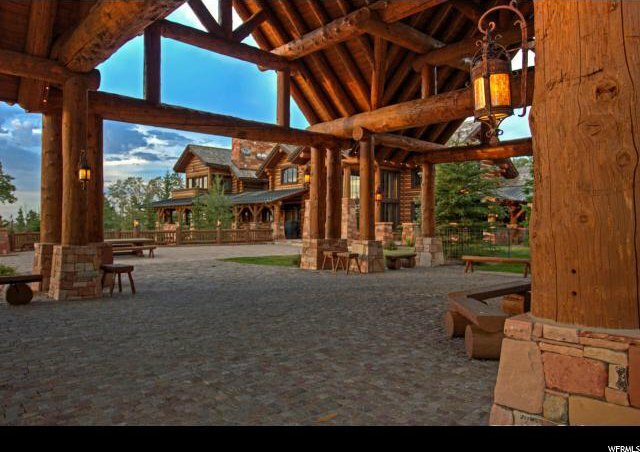 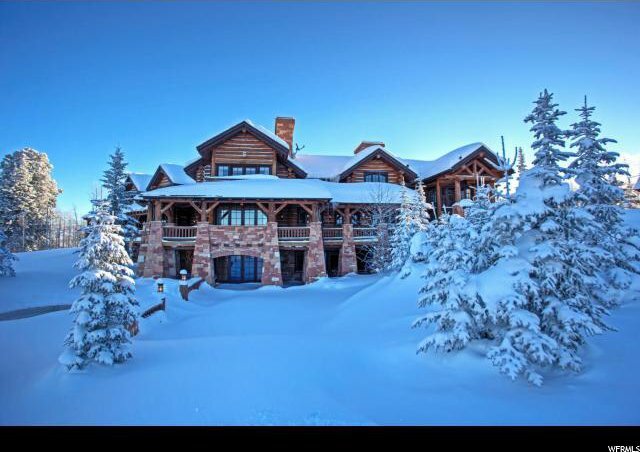 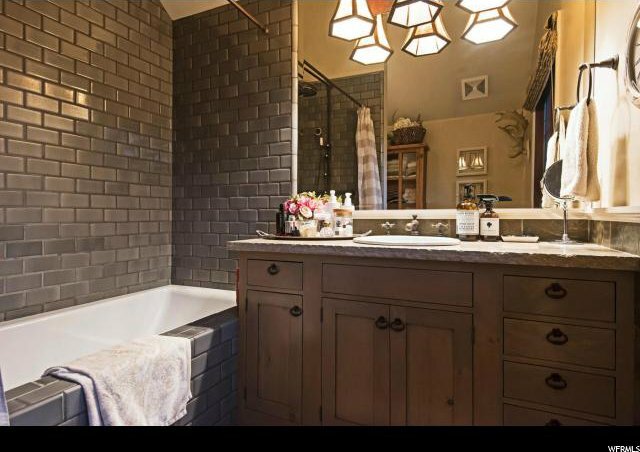 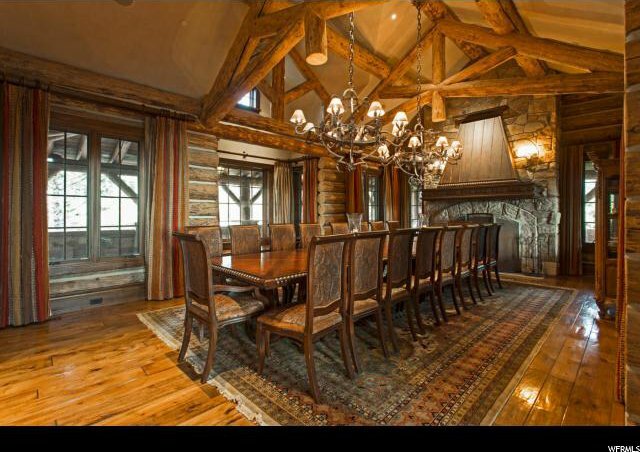 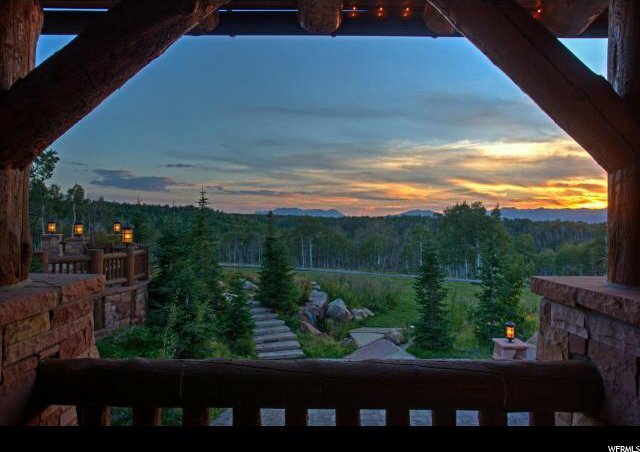 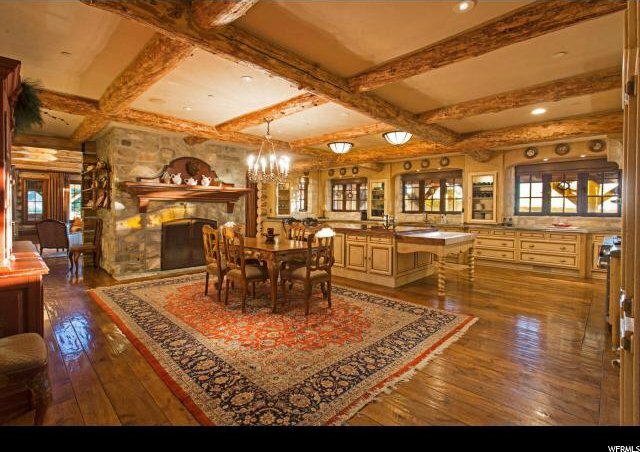 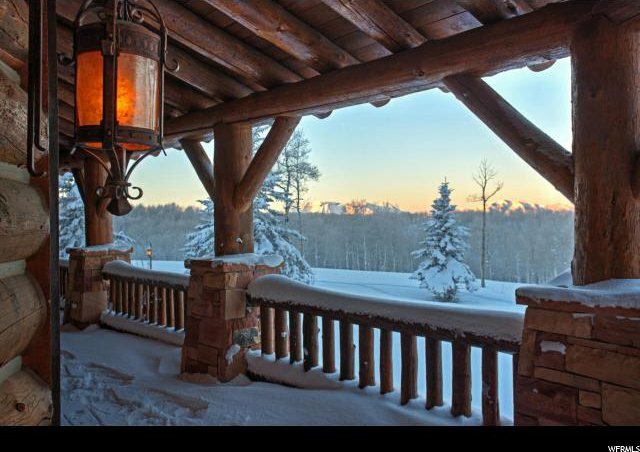 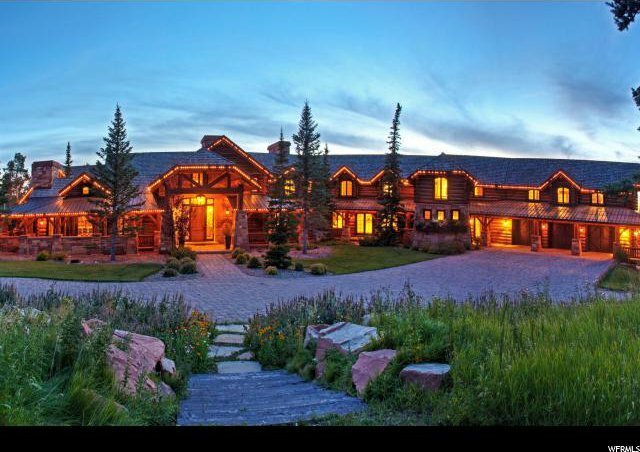 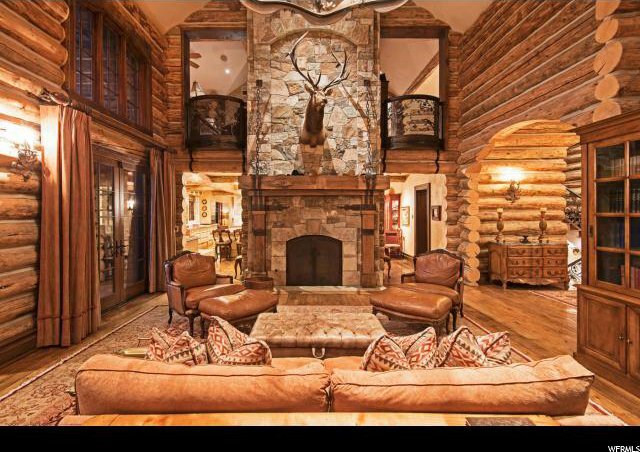 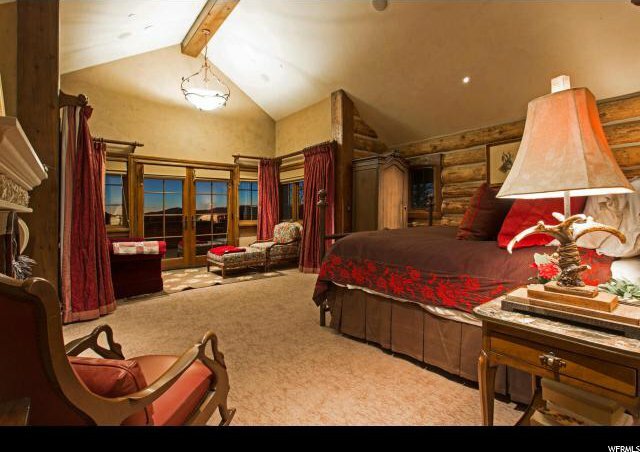 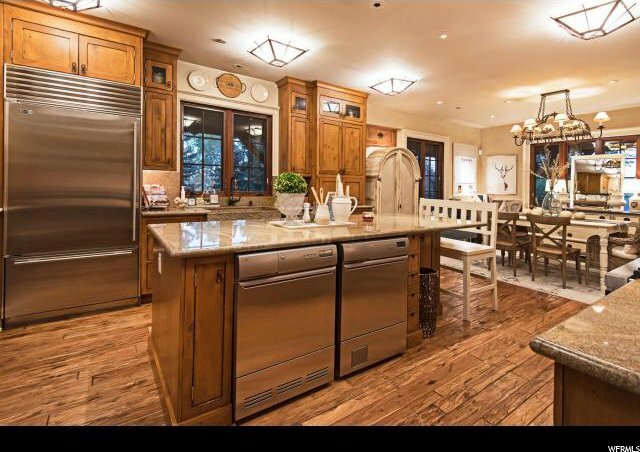 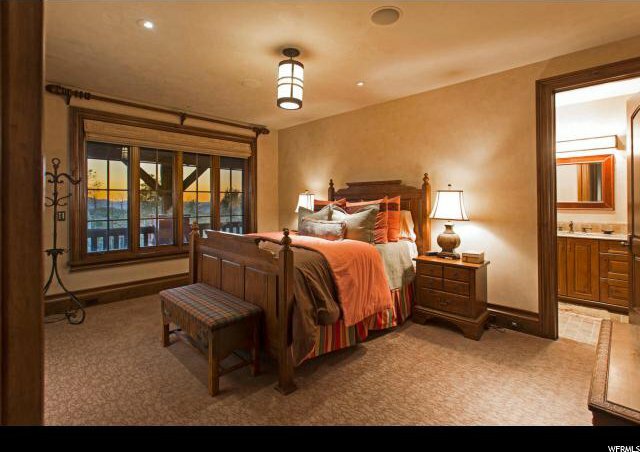 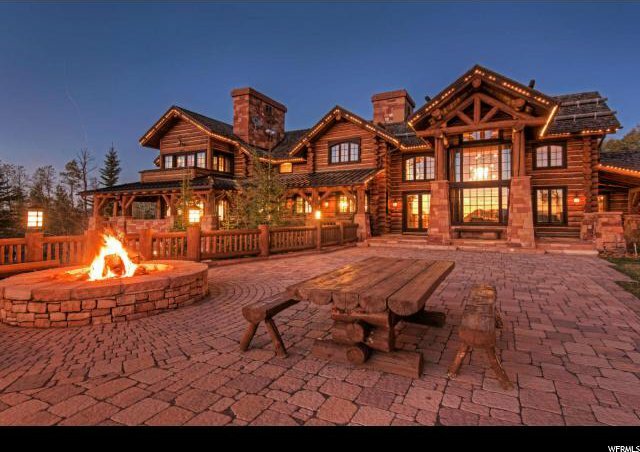 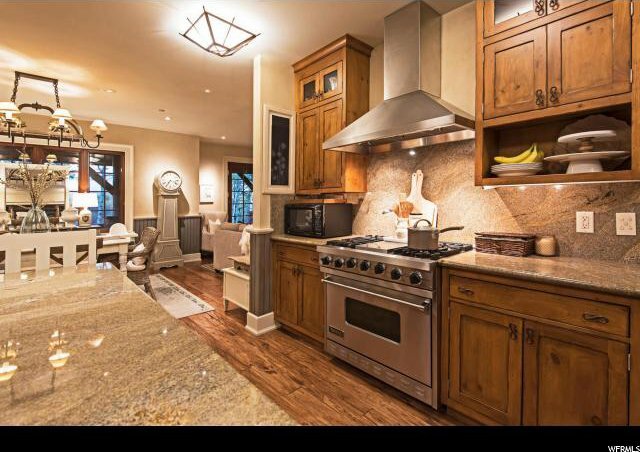 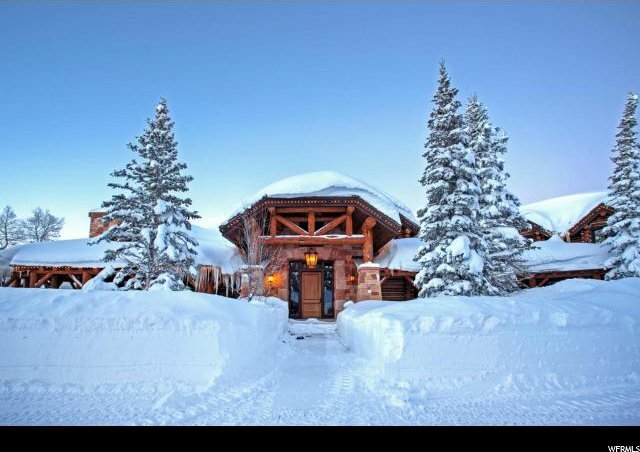 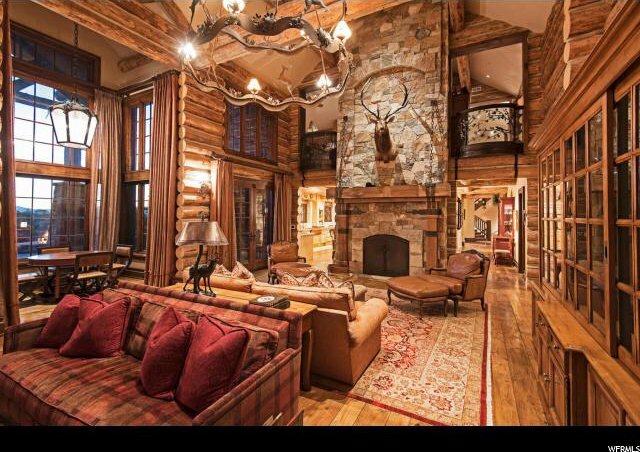 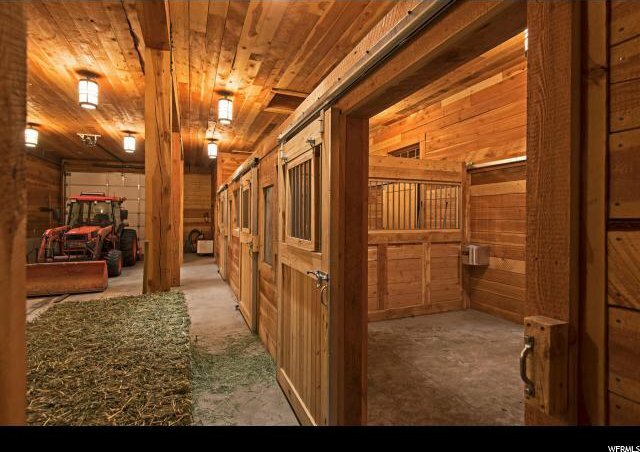 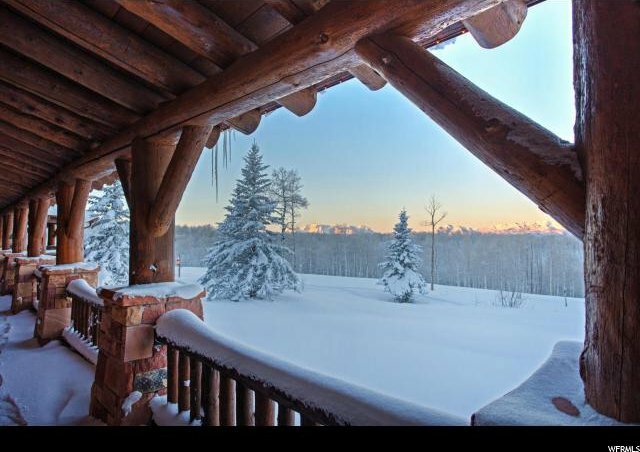 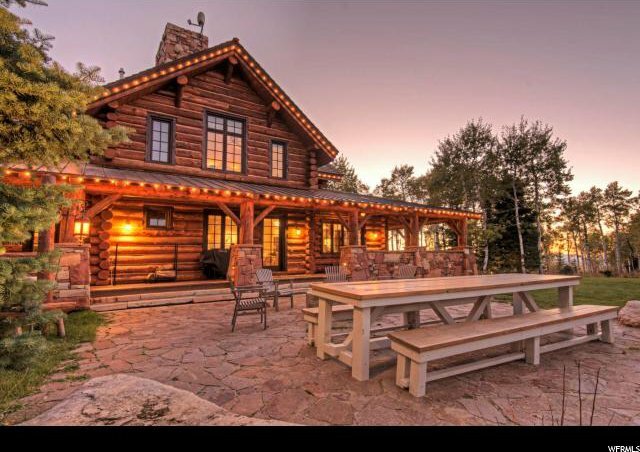 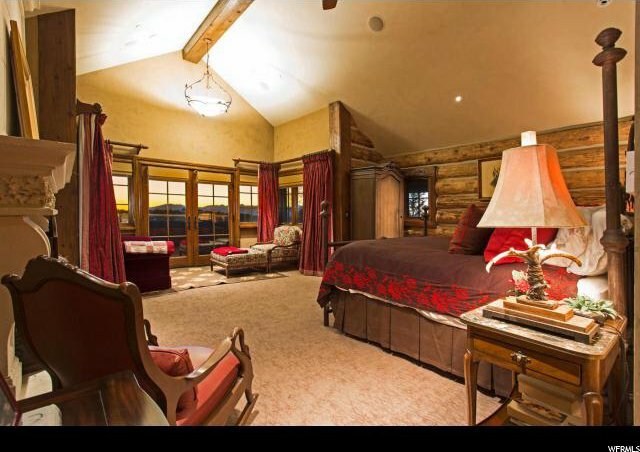 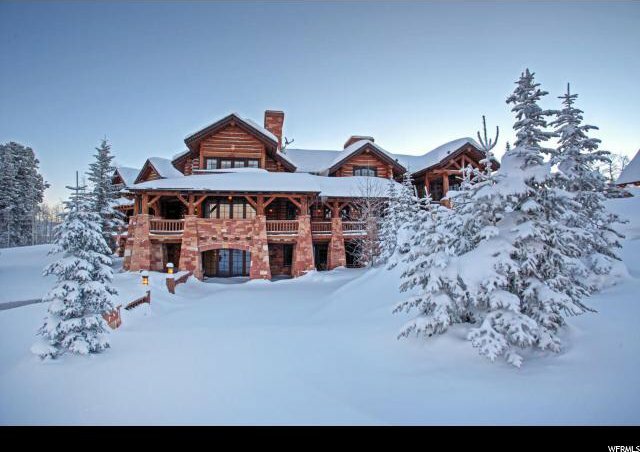 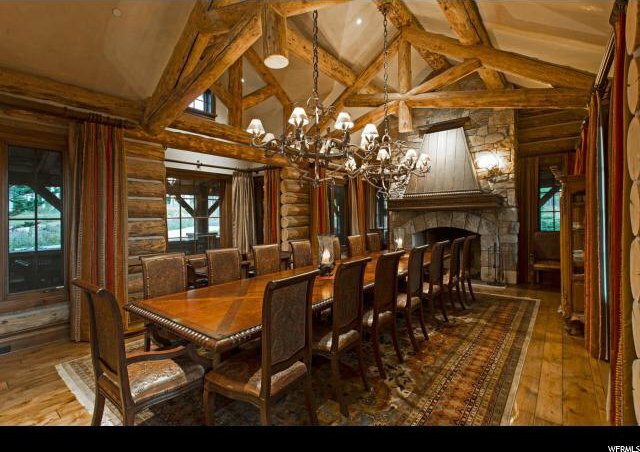 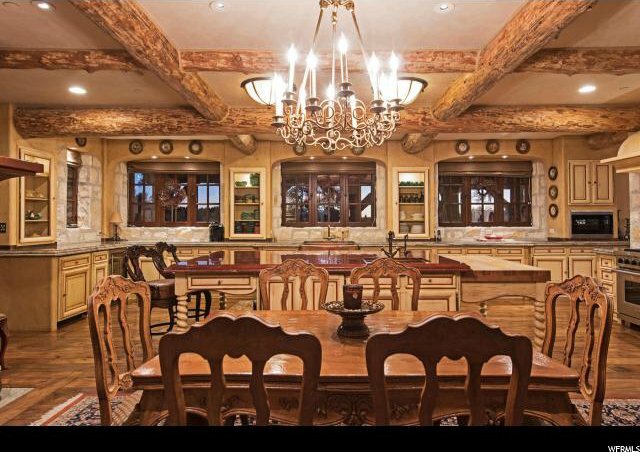 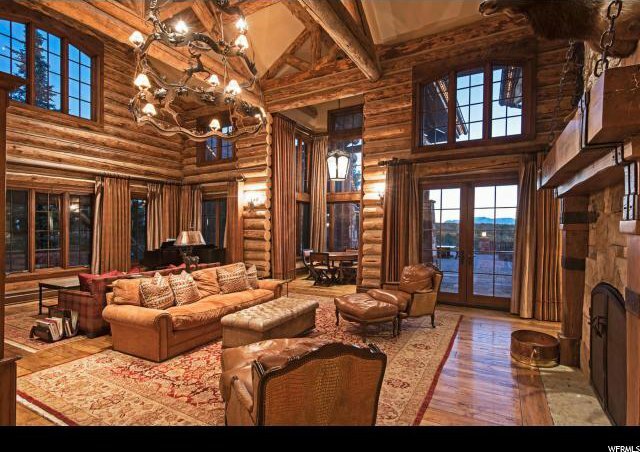 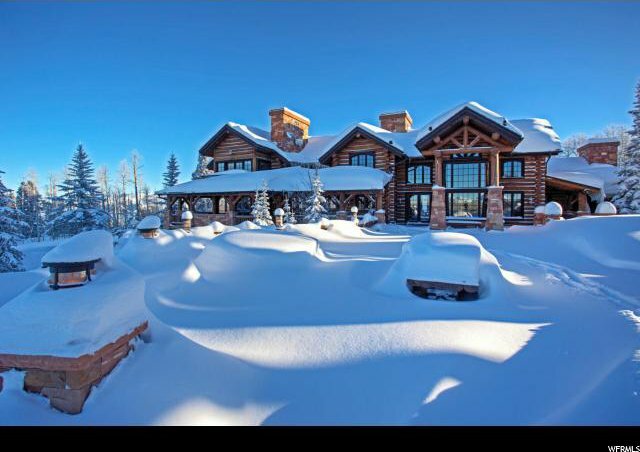 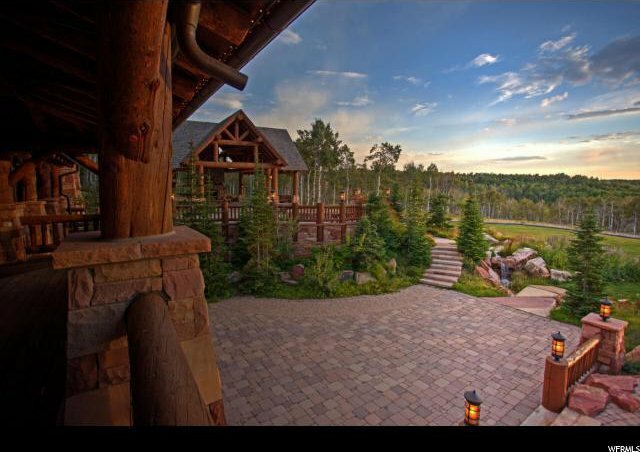 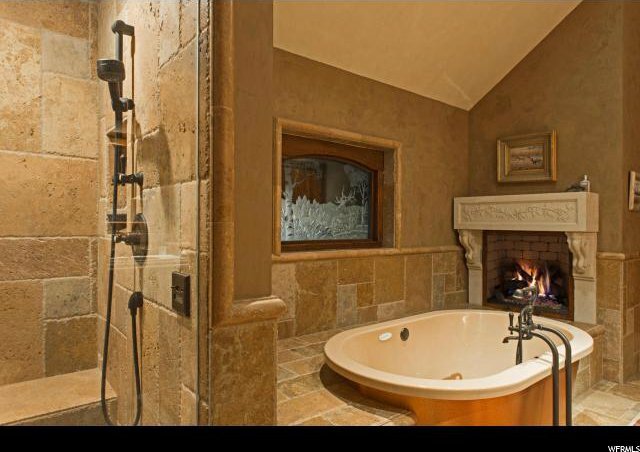 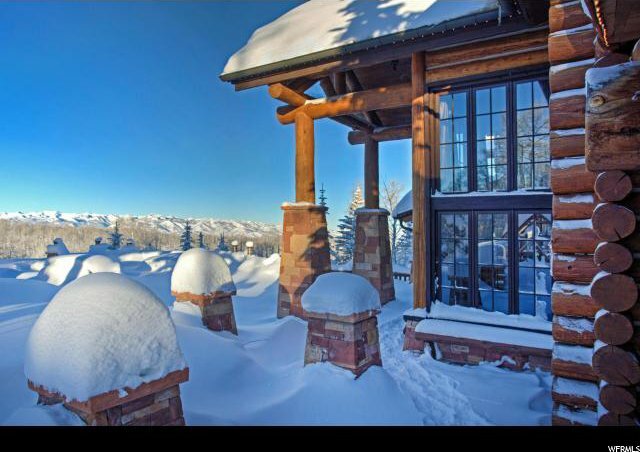 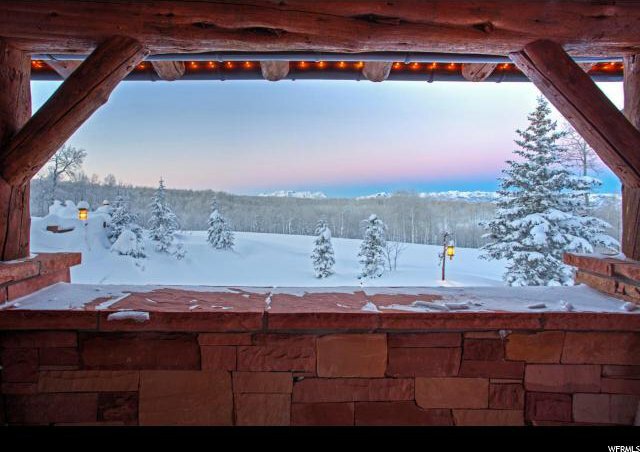 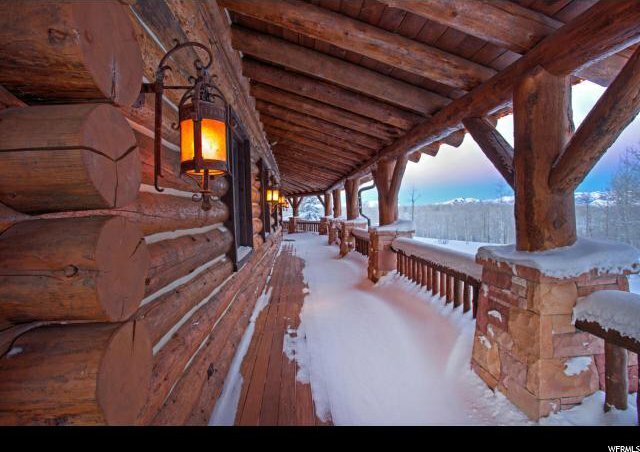 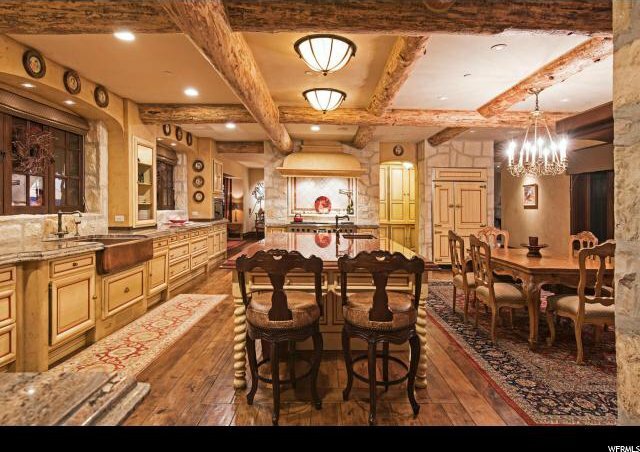 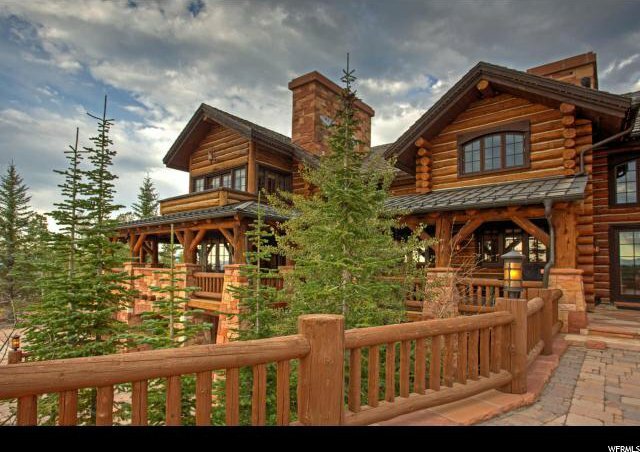 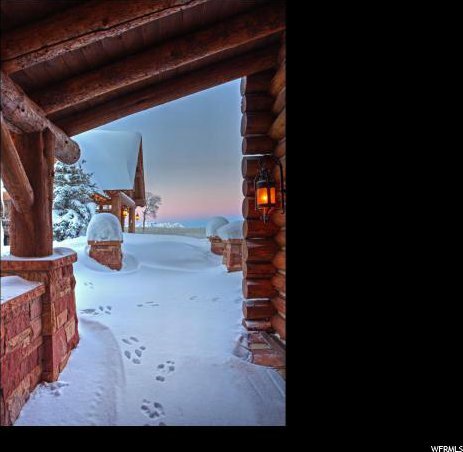 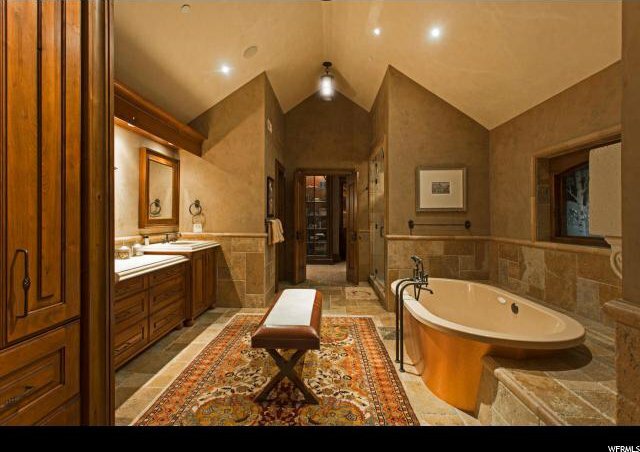 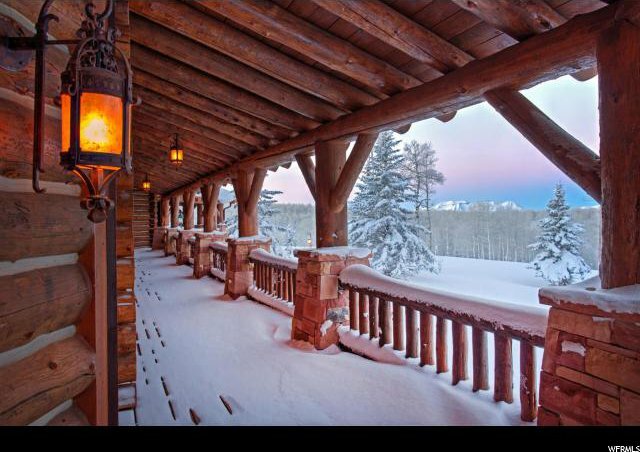 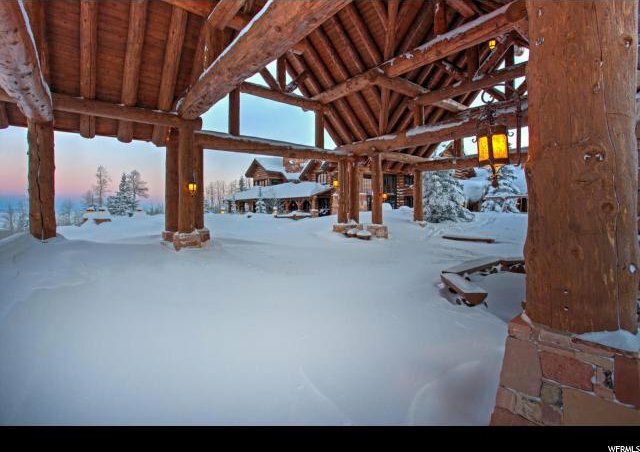 With jaw-dropping views, gorgeous architecture, and acreage to spare, this property is unrivaled anywhere in the Rocky Mountains.